Buy or sell a cemetery plot, cremation niche or mausoleum interments. 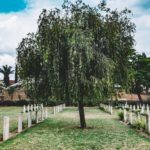 Purchasing a cemetery plot can be an extremely stressful and expensive experience, especially when trying to buy a plot after the unexpected death of a loved one. 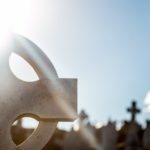 With over 30 years combined experience as cemetery brokers, Bayer can take some of the pain out of your funeral arrangements by helping you to find and buy the perfect cemetery plot in which to lay your loved one to rest. We have grave plots all over Southern California, and are sure to find the location and type of plot you are looking for. Because we are brokers and not the actual cemetery we are able to offer you beautifully developed cemetery plots, mausoleum interments, lawn crypts, and cremation niches for 20-60 percent off the cemetery’s price. 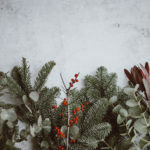 When a loved one passes suddenly and unprepared it can create a terrible burden on his or her family as relatives try to work out all of the funeral arrangements. By choosing to buy a plot in advance you are able to negotiate a better set of terms than if you wait, since trends show the costs of burial will only increase. You’ll be able to save your loved ones from even more hardship in their time of mourning. If you are looking to sell a plot that you no longer have need of, please contact us, otherwise it could go unused. We would be honored to help you sell the plot to a family in need.